Tokyo Midtown Hibiya was born in March 2018 in a space with lush greenery adjacent to Hibiya Park, an oasis in the heart of Tokyo. With an abundant history and culture, Hibiya is a great location for shopping complex where quality stores from both Japan and overseas are gathered together. 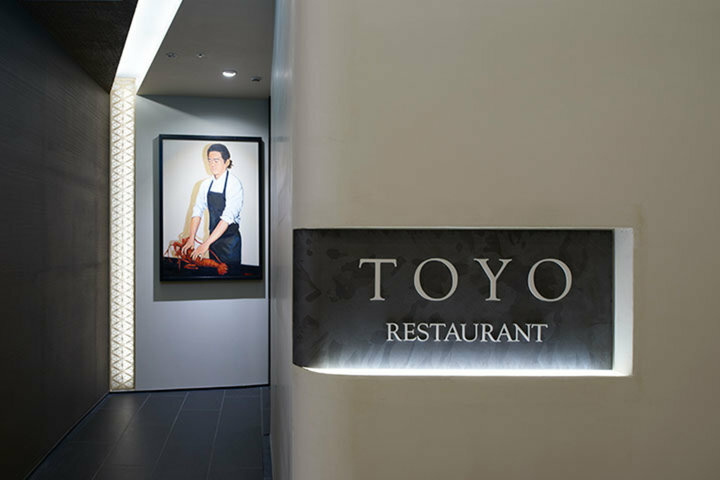 Among all the shops, the most eye-catching is "Restaurant TOYO Tokyo", a popular restaurant from Paris that it is difficult to make reservations, and this is their first time to open a branch in Japan. After working at "Jean Moulin", a French Restaurant in Kobe, the owner chef Toyomitsu Nakayama went to France to work not only at French restaurants but also at Japanese restaurants in Paris. He was then recognized by the world-famous Japanese designer Kenzo Takada and now also works as Takada's personal chef. He opened "Restaurant TOYO Tokyo" in Paris in 2009 and established his reputation through his original French-and-Japanese cooking style that derived from his unique training experiences. Chef Yuya Oomori, who studied under Chef Nakayama in Paris, was chosen to be the chef at "Restaurant TOYO Tokyo" in Hibiya. During his time in France, Oomori visited marchés, or French markets, every day, and inherited Nakayama's strong preferences for ingredients as well as his "ingredients-first" style, that is he chooses the ingredients first and then thinks of the cuisine. He developed a new flavor for the "Restaurant TOYO Tokyo" in Hibiya that can only be found in Tokyo, by integrating seasonal Japanese food into the menu. Oomori also studied the spirit of "Wabi Sabi" through studying "Sado", or tea ceremony, and expresses the delicate beauty/spirit of hospitality of Japan through his cooking. A portrait of Chef Nakayama painted by Takada is displayed inside the restaurant just like the one in "Restaurant TOYO Tokyo" in France. "Restaurant TOYO Tokyo" in Hibiya even has the same ambiance as the one in Paris. 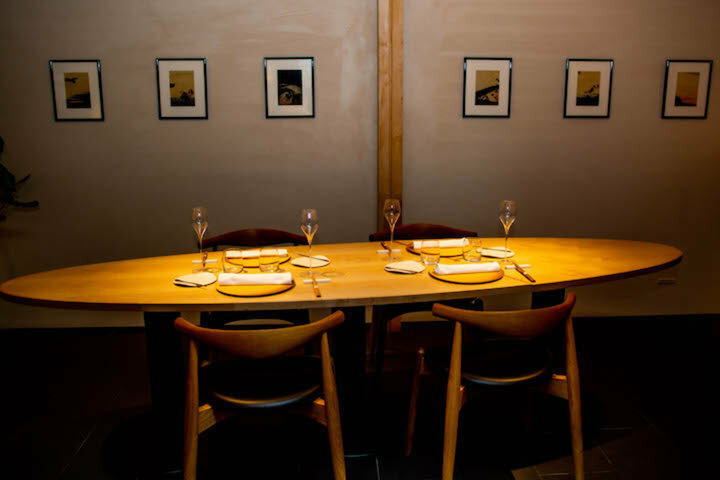 There are 8 counter seats and 14 table seats including the ones in the private rooms that can fit up to 6 people. The restaurant implements the "Counter French" style which is a trend in France. Sometimes the chefs will place a hot plate on the counter and perform the cooking right in front of the customers' eyes, and this "live" sensation is enjoyable. Paris and Tokyo are two cities known for being "food capitals". Be sure to experience the miraculous French cuisine created from the fusion of the two cultures of these two capitals.